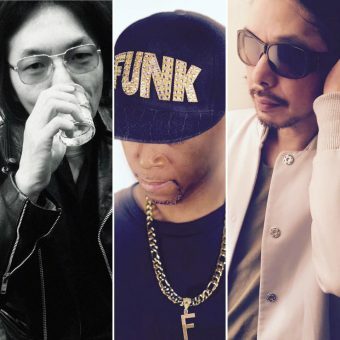 Tatsuya Kanamori, who led the techno scene in Japan under the moniker DJ Shufflemaster, is back with a new project and a new album to be released from his new label „Shiki Kyokai“. Tatsuya a.k.a. the pioneering DJ SHUFFLEMASTER has released a number of cutting edge minimal techno works from his own Housedust and Subvoice labels, along with time-honored Tresor in Berlin, Ben Sims’s Theory, Phont Music in Switzerland, Chester Beatty’s Disq, as well as providing remix works for Adam Beyer’s Code Red, Thomas Schumacher, DJ Rush, DJ Deeon etc. Because of heavy sound pressure and bouncing rhythm, CHESTER BEATTY is commonly known by EQ Melter. His father was a records cutting engineer while he was a piano player for Argentine Tango. Beatty’s father encouraged Beatty to play, and as a child, he became familiar with jazz, classic, latin music. At the age of 13, Beatty began learning to play guitar, bass, and piano. Not only straight rock, but also he got really hard into swing rhythm. Eventually, he had loved Chicago Ghetto House. His first tape was made by cheap instruments, Roland TR-808 and TB-303, and it was admitted by Robert Armani and Felix Da Housecat. Afterwards, he debuted with the tape. Beatty quickly gained critical acclaim with the release of his EP by labels, such as Cloned Vinyl (UK), Phont Music (Switzerland), Housedust (Japan). At the same time, in his label ”Disq”, he was marginally influenced by funk and disco, and his tracks were played many famous DJs, most notably Sven Vath in clubs worldwide. He released first full-length, “Shot of Love” from Tresor (Germany). Afterwards, he released regressive piece, unlike the previous piece, which took salsa taste in. He went on to found Da Royal Funksta with DJ FUNK, a father of Dance Mania Records in Chicago and known by remix works of Basement Jaxx and Justice. 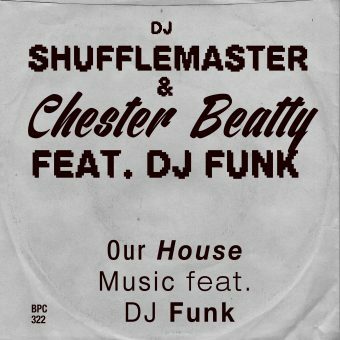 And 2015, He formed new team DISQ CLASH with DJ SHUFFLEMASTER and DJ FUNK. 1st Ep released on Turbo Recordings. Sound towards to Legend of Chicago ghetto House.